The Working Holiday Scheme Unit of the Labour Department has participated in the “21st Career Mosaic October 2017” organised by the Hong Kong University of Science and Technology (HKUST). 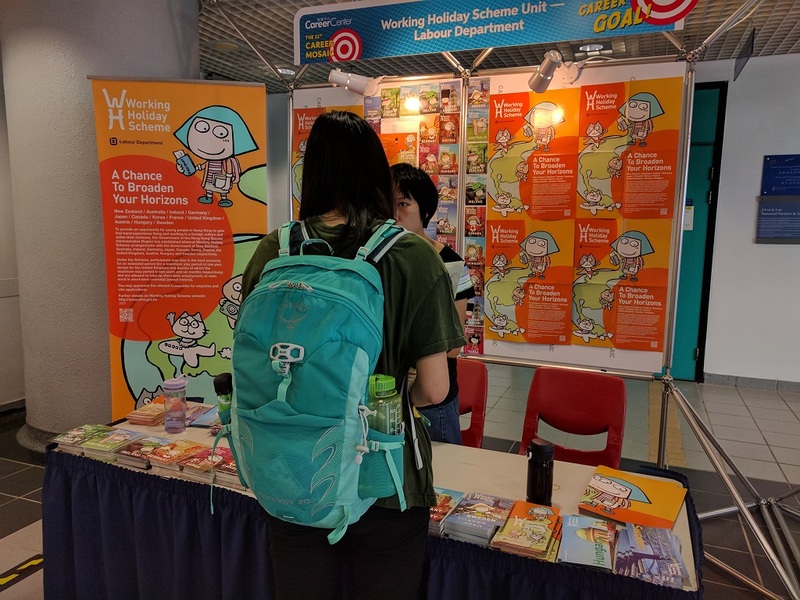 A booth was set up at the venue to provide students with information of the working holiday scheme and disseminate the publicity materials on the scheme. The event has attracted a large number of students and received enthusiastic response from them.